This blog is devoted to the fantastic and fun. Today, two characters from Because Of The Red Fox introduce a giveaway of their book … Deadline for entering the drawing is Sunday, Nov. 11! Oak: Greetings! Oak and Gypsy Belle here. 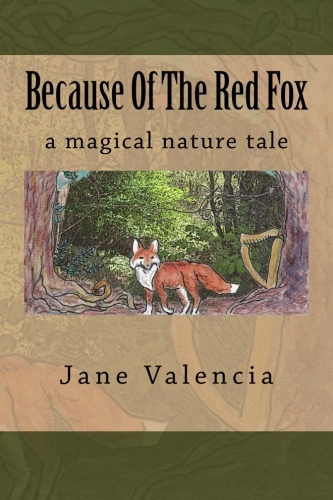 We’re two characters in the magical nature novel, Because Of The Red Fox. We won’t tell you exactly who we are, because, well … that might be considered a spoiler! In any case, we wanted to let you know about Herbal Roots zine and a cool giveaway they are hosting of our book. Herbal Roots zine is an amazing monthly ezine that shares an herb a month with kids and kids at heart. 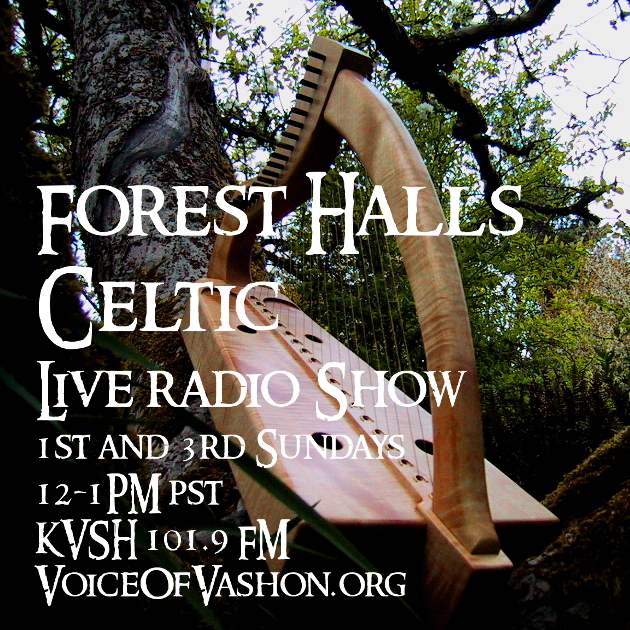 It’s full of fun projects, enchanting artwork, lots of herbal knowledge and wisdom, stories, games, and so much more. Each month features a particular herb or tree and its medicine. My partner Gypsy Belle is an herbalist and wise woman, and she just loves this ezine. She co-teaches a Forest Kids camp in the Otherworld, and always has an issue or two on hand to share with the kids who attend. You can often hear them singing the songs about the herbs and their medicine. I’m looking forward to hearing them sing the song of this month’s medicine plant! Gypsy Belle: That’s because this month’s Herbal Roots zine is devoted to Oak! (she starts to sing “Harvest Oak Bark Now”). I never thought of you asbeing very plant-y, Oak! Gypsy Belle: Ugh! Leave the bad puns to Shell! Gypsy Belle: No. Oak. No. More. So, Readers, what Oak has been trying to tell you is that right now you can enter a giveaway to win a copy of Because Of The Red Fox. You can also read a lovely review of our book. How cool is that! 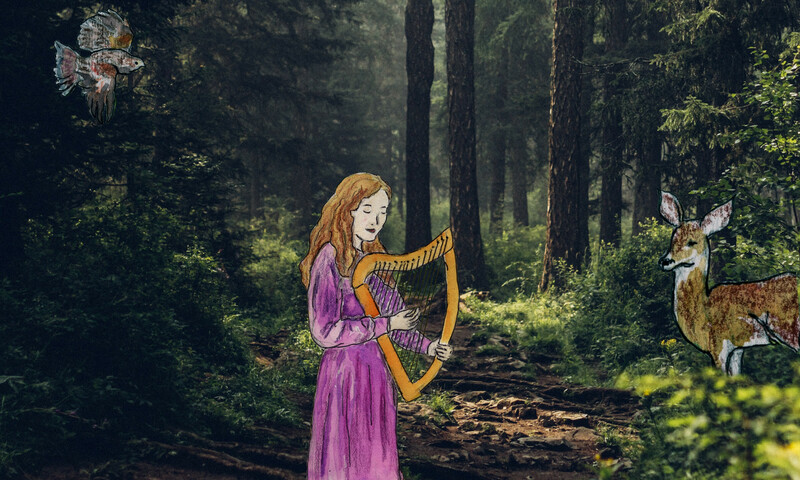 Oak: Readers, head on over to Herbal Roots zine, and check out the scene. And be sure to enter the giveaway! Maybe you’ll be the one who wins us (well, in the book). Gypsy Belle: Jane will autograph the copy, too! Oak and Gypsy Belle: Good luck! Click here to find out about the Because Of The Red Fox giveaway at Herbal Roots zine. Enter the drawing by Sunday, Nov. 11! Previous PostPrevious What *Does* The Fox Say?